Fig. 1–Judge Theodore D. Chuang. Has numerous relationships with lawyers associated with the Uranium One scandal. He must recuse himself or be dismissed from the first criminal indictment in Uranium One—U.S. v. Lambert, 18-cr-00012 (D. Md. Jan. 18, 2018). 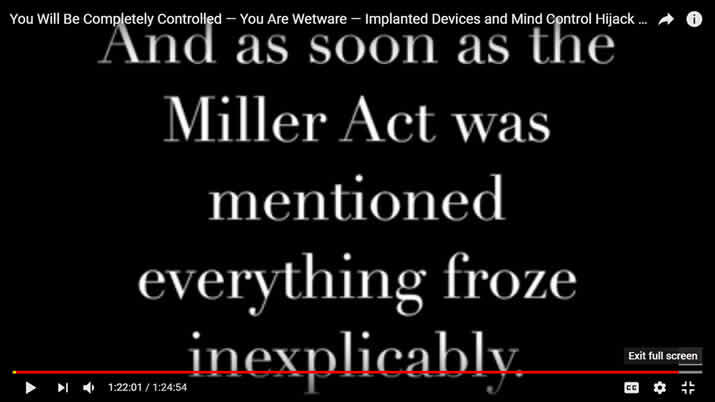 Special Note: The moment that Thomas Paine mentioned Leader Technologies' Miller Act Notice solution to this surveillance state lawlessness, Lionel's video feed was cut inexplicably (@ 1hr. 22 min.). (Jan. 18, 2017)—Judge Theodore D. Chuang was just assigned by chief judge James K. Bredar to the first Uranium One indictment U.S. v. Lambert, 18-cr-00012 (D. Md. Jan. 18, 2018). Mark T. Lambert, the former president of a Maryland-based transportation company was indicted on 11 counts related to foreign bribery, fraud and money laundering. Fig. 2—Maryland Federal District Court chief judge James K. Bredar likely assigned Judge Chuang to the Uranium One case. However, Bredar himself had no business touching this case or even allowing it to come to his court. He was formerly employed at Perkins Coie LLP—the law firm swirling at the center of the Uranium One scandal. Bredar is evidently another James P. Chandler, III legal stooge, having graduated himself from Harvard, Yale and Georgetown. Chuang graduated from Harvard also. Bredar disclosed DLA Piper LLP as one of his conflicts, and yet failed to mention that a predecessor to DLA Piper was Hill & Barlow LLP (Boston) where Robert Mueller was a partner along with a Chuang co-counsel with Ben T. Walker in defending Microsoft in a counterfeiting case managed by Chandler (who would eventually agree to be Leader Technologies' fated patent attorney). Bredar also worked a case with Rod Rosenstein where they imprisoned and deported at least nine individuals of Arab origin (US v. Doe, 564 F. Supp. 2d 480 (D. Md. 2008)) who had no legal counsel. Also notable, Bredar's confirmation hearing occured at the same time as the soon-to-be Leader v. Facebook replacement judge Leonard P. Stark. See Bredar Senate Confirmation Hearing (May 13, 2010) and Financial Report. According to the Code of Conduct for U.S. Judges Canon 2, federal judges must recuse themselves from presiding over cases where their involvement could be biased toward one party over the other. Canon 2 says that even the appearance impropriety dictates recusal. In a federal district court office, the chief judge is the person who generally assigns judges to cases. On paper, the courts are required to maintain an ethics database to pre-screen for conflicts. These databases have been discovered to be incomplete or outright fraudulent. Each judge is responsible to submit his or her conflicts to the database. So for example, if you represented Goldman Sachs before being appointed to the bench, Goldman Sachs must go on the list of companies for whom you cannot hear cases. However, if you hold a Vanguard Index Fund where Goldman Sachs is the largest single holding, you are ostensibly not required to disclose Goldman Sachs after Mar. 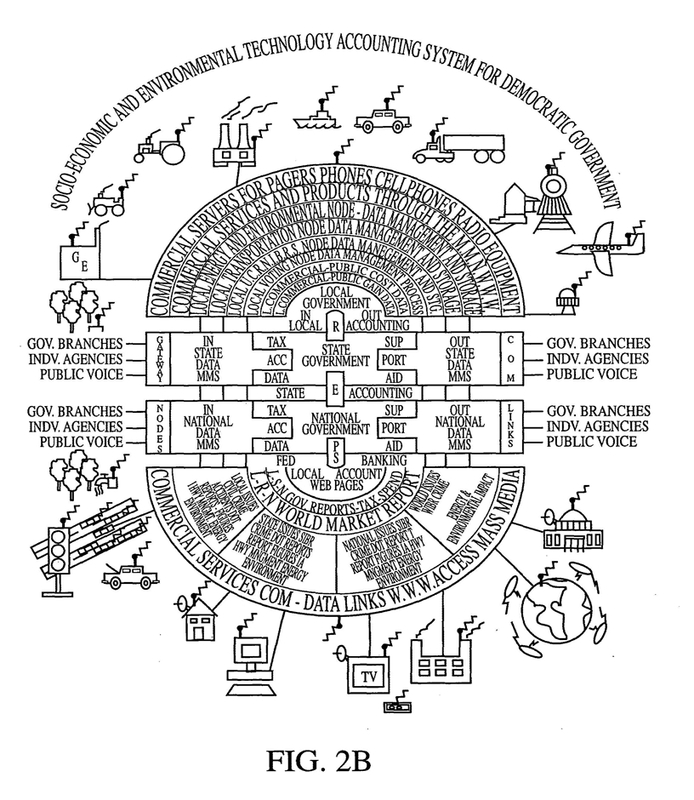 14, 2001 when the Judicial Conference approved what we call "The Great Mutual Fund Scam." So, if a chief judge has been directed by his or her Deep State shadow government handlers to rule a certain way, he or she will choose a compliant judge to preside over that case. Judges have an often-abused privilege called "judicial discretion." This gives them great latitude over the conduct of a case, including summary judgments and motions to dismiss. Generally, given enough time, a group of unscupulous lawyers can concoct a way to convict a ham sandwich. Once a judge absolves a criminal defendant of a crime in a motion to dismiss or summary judgment (pre-trial rulings), it is very difficult to overcome such a ruling under "Res Judicata." All you can do is appeal. However, if a corrupt judge is assigned to the appeal, the chances of seeing justice are nil. The U.S. Supreme Court takes very few appeals once you have lost your Circuit Court appeal. Res Judicata means a person cannot be sued twice for the same matter. Therefore, the best way for the Deep State shadow government to be absolved of its crimes is to be tried in front of one of its many crony judges who will rule in their favor, and thus prevent a second trial on those counts. In this Uranium One case, Judge Chuang was assigned by fellow Harvard Law grad chief judge James L. Breder. 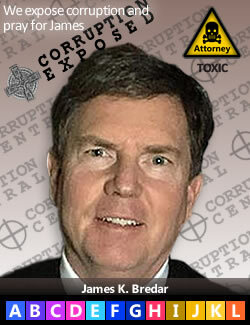 Judge Breder was appointed by Barack Obama on April 21, 2010. Fig. 3—Theodore D. Chuang has no business touching the Uranium One case given his conflicts as well as those of his chief judge James K. Bredar. A joint Americans for Innovation and American Intelligence Media investigation has uncovered a nest of ties among parties implicated in Uranium One. These ties engulf Judge Chuang in a twisted knot of interrelationships that make it impossible for him to be impartial. 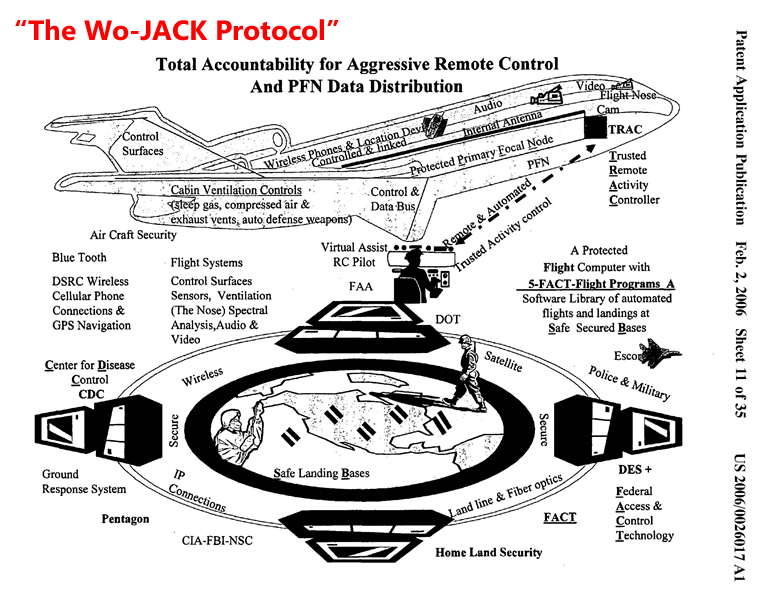 In addition, Judge Chuang is tied to central actors in the theft of the social networking invention, most especially Harvard Law professor James P. Chandler, III. 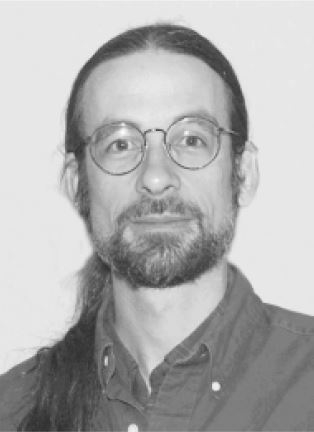 Chandler agreed to be Leader Technologies, Inc.’s patent attorney in 2000, then stole Leader's invention and shuffled it to the IBM Eclipse Foundation. 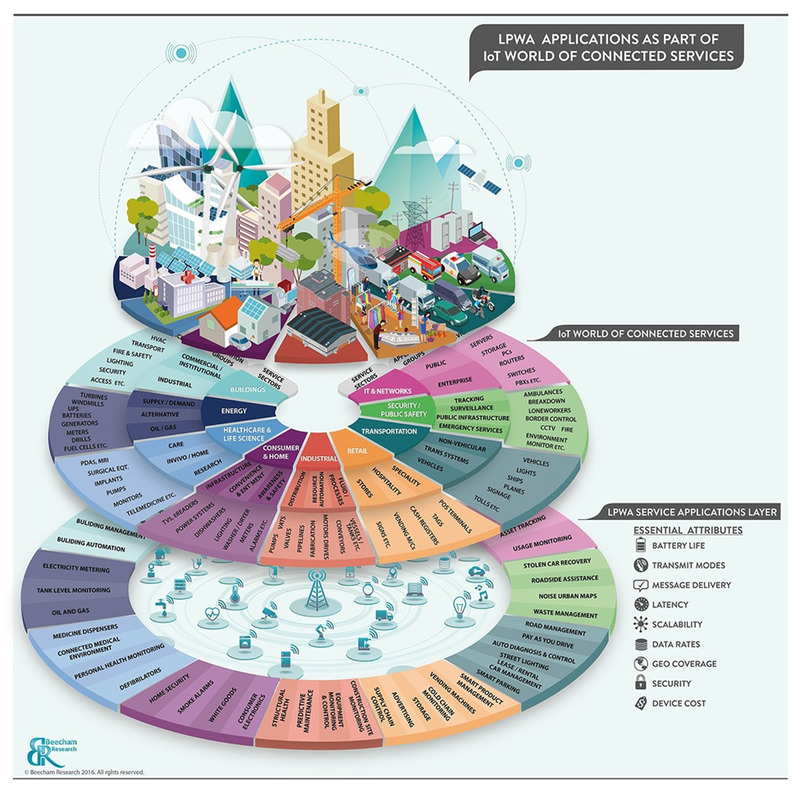 Eclipse then distributed it to the federal government and military-industrial complex in Silicon Valley. Chuang was actually working at Robert Mueller’s former law firm Wilmer Hale LLP (formerly Hale & Dorr LLP) when Hewlett-Packard engineer Richard C. Walker (aka Rick Walker) filed for patents on global surveillance. Walker filed these patents in the name of a sham company named “Kline & Walker LLC” that he has hidden from the public in all of his biographies. 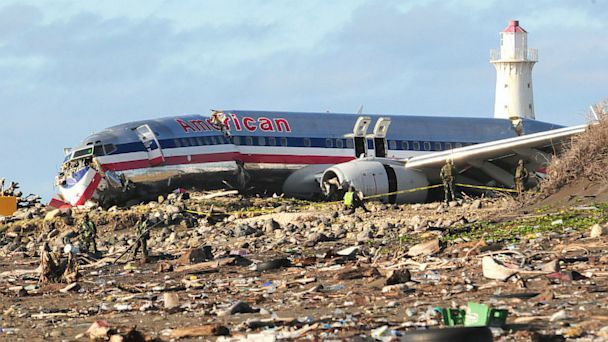 See Meet The Person Who Can Remotely Crash Planes and Can Read Your Mind. 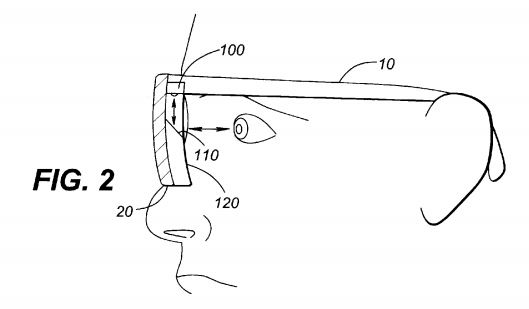 This patent is just unbelievable. 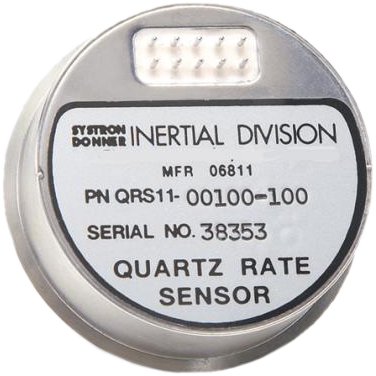 It even describes embedded cyborg chips in people, which it calls “wet-ware.” These chips can control muscles, emit mind-altering frequencies, and put people to sleep or otherwise disable them or their vehicles, including aircraft. Mobile phones are also similarly wired, including emiting light and sound triggers. Robert Mueller and Bill Clinton have both been paid by Microsoft for speeches. Chuang and Ben T. Clements, Mueller’s law partner in Hill & Barlow LLP (Boston), actually represented Microsoft and the Justice Department in a criminal case advised by James P. Chandler, III. On Apr. 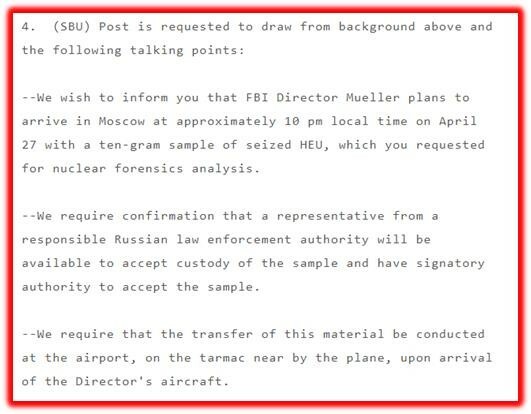 27, 2009, Mueller actually delivered uranium samples to the Russians on instructions from the Secretary of State Hillary Clinton. Chuang’s Microsoft holding dictate his recusal given Microsoft’s intimate relationships with Mueller, the Clintons, James P. Chandler, III and Chuang’s co-counsel Ben T. Clements, Mueller’s partner in Hill & Barlow LLP. What follows is the American Intelligence Media / Americans for Innovation investigation on Theodore D. Chuang. Fig. 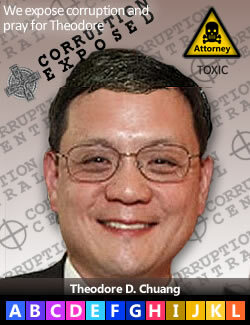 1: Maryland Federal District Court Judge Theodore D. Chuang assigned to the first Uranium One criminal action. U.S. v. Lambert, 18-cr-00012 (D. Md. Jan. 18, 2018). Photo: CJNotebook. Jan. 17, 2018—Judge Theodore D. Chuang is a federal judge that seems to be more interested in thwarting the intent of the president than dealing with the rampant abuse of power and destruction of the rule of law by his corrupt chums in Washington. If his name is somewhat familiar to you, this is the federal judge in Hawaii who attempted to block Trump’s travel ban in summer 2017. In his ruling, Chuang wrote that President Trump’s own tweets helped convince him that the latest policy is an “inextricable re-animation of the twice-enjoined Muslim ban” that Trump called for on during the campaign trail and would likely be found unconstitutional. 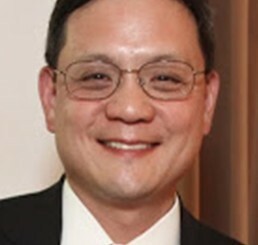 Although Chuang is in Hawaii, his office is part of Maryland District Court system. His ruling on the travel ban case was taken to the 4th U.S. Circuit Court of Appeals in Richmond, Virginia where it was upheld. The Trump administration then went to the Supreme Court for a ruling where Chuang’s ruling, as well as other similar cases, were rejected. Theodore Chuang is back in the news. This time he has been appointed as the judge over the first Uranium One criminal action. U.S. v. Lambert, 18-cr-00012 (D. Md. Jan. 18, 2018). Let’s deep dive into Chuang’s biography and connect the dots of his questionable history as it relates to being able to rule on the Uranium One case in an impartial way. On May 2, 2014, Theodore D. Chuang was appointed by President Barack Obama as a judge in the US District Court of Maryland. On Jan. 10, 2018, Chuang was assigned as presiding judge presiding over the first Uranium One indictment. Chuang attended Harvard Law School and edited the Harvard Law Review contemporaneously with Barack Obama. Given Harvard’s notoriously-known meddling in Russia and the biography that we now know of former economics professor Larry H. Summers, these associations with Obama administration principles taint his objectivity in ruling on a case that will involve so many Deep State players. Many of the mutual funds in which Judge Chuang is invested hold substantial amounts of financial interests in Microsoft and Goldman Sachs. Goldman Sachs was a Uranium One deal underwriter. See Fig. 3 below. Chuang cannot possibly avoid Code of Conduct for U.S. Judges Canon 2 in the Uranium One case due to his obvious conflicts of interest. From Mueller to the Clintons, Holder to Lynch, they are all wrapped up in the U1 crime, and Chuang, who has been mentored and supported by these swamp players throughout his career, will most likely become their judicial protector. 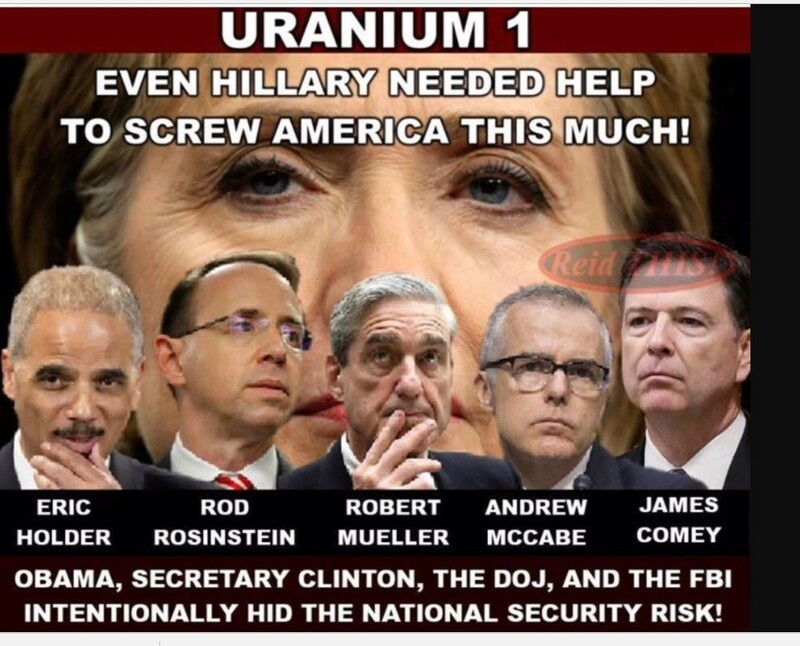 The Uranium One case includes the suspected involvement of Bill Clinton, Hillary Clinton, the U. S. State Department, Robert S. Mueller, III, James B. Comey, Rod J. Rosenstein, James P. Chandler, III, Loretta Lynch and Eric H. Holder, Jr.
Chuang’s confirmation statement highlighted this case: US v. Simons et al, 97-CR-10334-GAO (D. Ma. 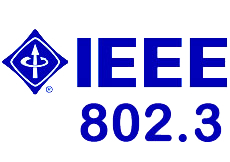 Dec. 16, 1997). Chuang collaborated with Microsoft to get an almost $1 million conviction of defendants accused of counterfeiting Microsoft Office software. 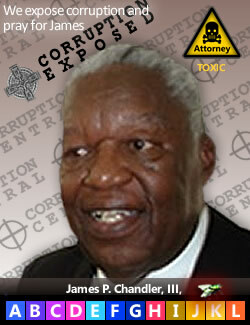 This was one of the first cases managed by law professor James P. Chandler, III who had coached the White House and Congress on passage of the Economic Espionage Act of 1996, Federal Trade Secrets Act and False Statements Accountability Act (legalizing lying to Congress and Courts) on Oct. 11, 1996. Chandler was tasked with advising all U.S. Attorneys, including Theodore C. Chuang, before bringing forward intellectual property criminal cases. Fig. 3: Theodore D. Chuang 2013 Financial Disclosure. Confirmation Statement as Judge for the U.S. District of Maryland, Dec. 19, 2013. U,S, Senate. Chuang’s US Attorney co-counsel in US v. Simons was Ben T. Clements. This case shows that Chuang was taking instructions from Deep State shadow government lawyer James P. Chandler, III who was also advising Robert Mueller, Bill and Hillary Clinton, James B. Comey, Rod J. Rosenstein, James A. Baker. These individuals were deeply embedded in the FBI, NSA, CIA counterespionage operations. Between 1990 and 1994, Ben T. Clements was a partner at Hill & Barlow LLP, Boston, according to his public biographies. 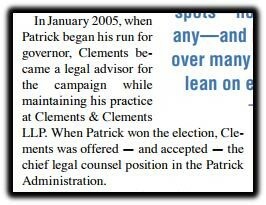 Between 2005-2010, Ben T. Clements was chief legal advisor to Gov. 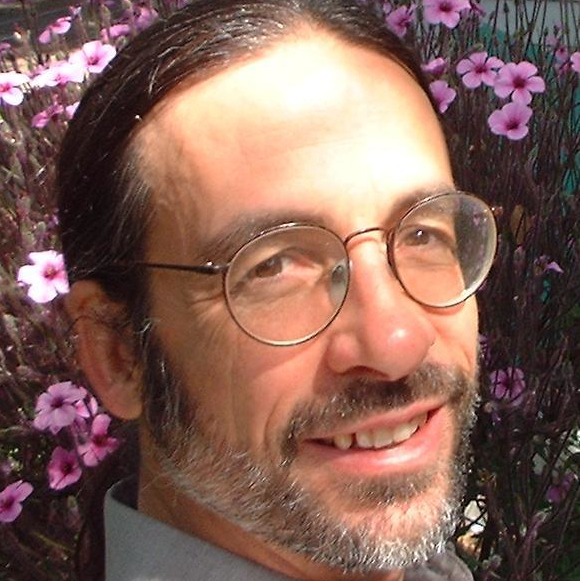 Patrick L. Duval. Between 1986-1994, Patrick L. Duval was a partner at Hill & Barlow LLP, according to his public biographies. Between 1988-1989, Robert S. Mueller, III was a partner at Hill & Barlow LLP, according to his Senate testimony. Hill & Barlow LLP was a boutique law firm. Therefore, the insider relationships among Clements, Duval, Chandler & Mueller are unmistakable. Chuang’s collaboration with Clements re. an intellectual property case advised by Chandler, in turn associates him with Clements, Duval & Mueller. 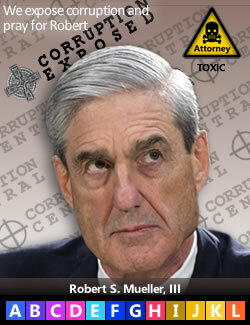 Between 1993-1995, Robert S. Mueller, III was a “Senior Partner” at Wilmer Hale & Dorr LLP. What are the odds that Mueller and Chuang would both be partners at the same law firm twice (Hill & Barlow LLP, Wilmer Hale LLP) during their careers, before working at the U.S. Justice Department? Chuang’s impropriety is palpable. On Apr. 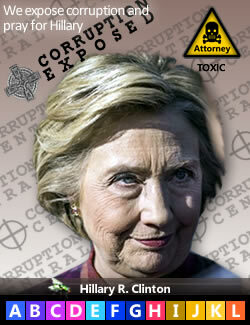 27, 2009, newly appointed (Jan. 21, 2009) Secretary of State Hillary Clinton ordered FBI Director Robert Mueller to deliver uranium samples to the Russians, thus implicating him directly in the Uranium One scandal. Fig. 4: Hillary Clinton. (Apr. 20, 2009). Secretary of State Cable to Tiblisi, Georgia, Moscow, Russia, SECRET STATE 038943, ALERTING GOR OF DELIVERY OF SEIZED HEU DURING APRIL 27  FBI DIRECTOR’S [Robert S. Mueller, III] TRIP TO MOSCOW, U.S. State Department. WikiLeaks. 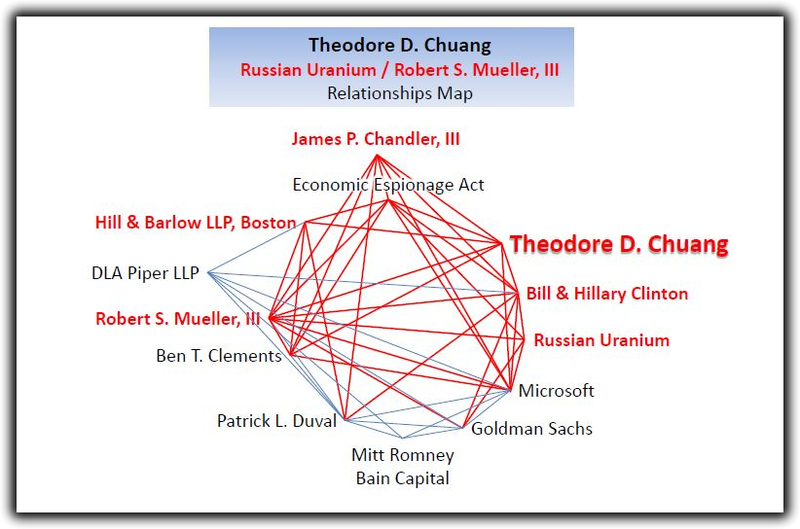 Given Chuang’s intimate associations with Hill & Barlow LLP partners Mueller, Deval and Clements, and each of their intimate associations with James P. Chandler, III, shows these men to be a tight cabal within the Justice Department, State Department, FBI and with the Clintons. How Did Chuang Become a Multi-Millionaire As a Government Employee? As with all biographical timelines that we review, we pay particular attention to the individual’s net worth in relationship to the jobs they have held. In Chuang’s case, we found that he had amassed total assets of $3.6 million by 2013. S. Hrg. 113-515, Pt. 6. (Dec. 19, 2013). Confirmation Hearing for Theodore D. Chuang. Senate Judiciary Committee. 113th Congress, First Session. Ser. No. J-113-1. U.S. Senate. Chuang is clearly a Chandler/Mueller cartel pawn. He was mentored by Chandler, who was coaching the DOJ Criminal Division on prosecution of the new Economic Espionage Act of 1996 et al. He worked at the DOJ in the Criminal Division with Comey, Rosenstein, etc. Chuang worked at Mueller’s Wilmer & Hale LLP twice. 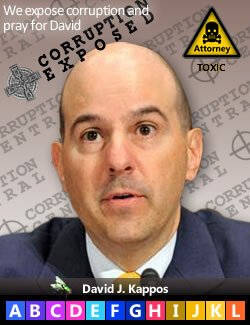 He clerked at the corrupt 9th Circuit in San Francisco. Notably, he was at Wilmer Hale when they were handling the Richard C. Walker patents. 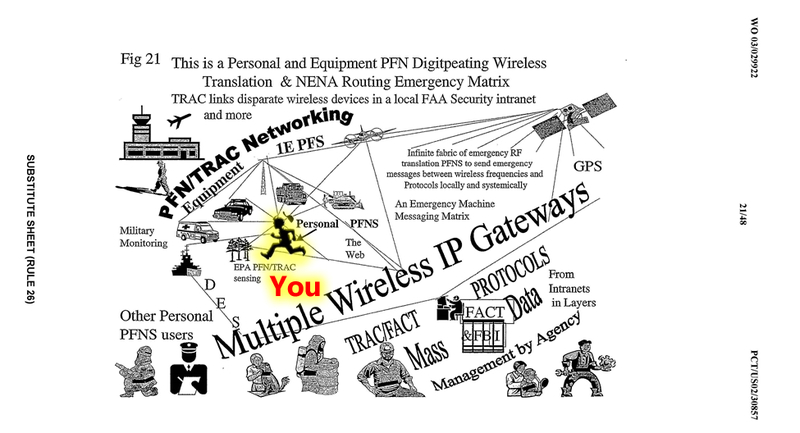 Then he became counsel at DHS where Walker’s patent and Kappos/Chandler’s Eclipse Foundation and NIAC were being implemented to build the surveillance state. In the Senate Hearing document listed above, Chuang specifically told the Senate Judicial Committee at his confirmation hearing that he will recuse himself from matters related to Homeland Security. 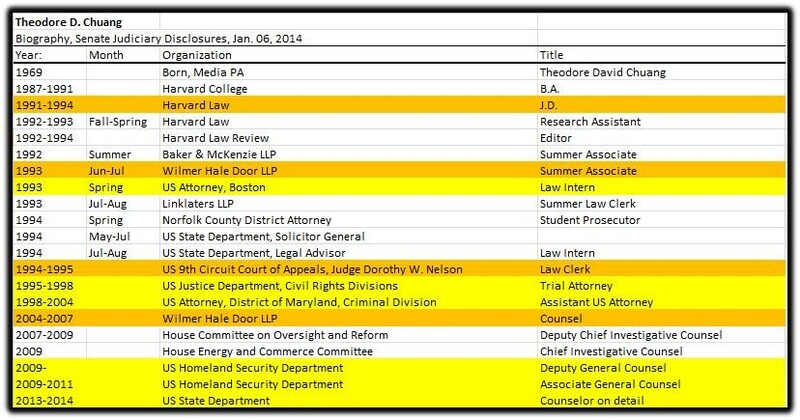 He worked at Homeland Security from 2009-2011, hence the statement of recusing himself from litigation regarding DHS. Yet, here he is presiding over the most explosive homeland security in our nation’s history. Is not the illegal handling of uranium a Homeland Security related matter? On top of that, if you overlay the biographies of Mueller, Rosenstein, Clinton, and Chuang during this 2009-2011 time frame, one can’t but wonder if Chuang wasn’t complicit in the very crime itself. After all, he was General and Associate General Counsel of Homeland Security during the time that the Uranium One deals were being played out. Fig. 6: Theodore D. Chuang’s Statement to the U.S. Senate Judiciary Committee on Potential Conflicts of Interest. S. Hrg. 113-515, Pt. 6. (Dec. 19, 2013). Confirmation Hearing for Theodore D. Chuang. Senate Judiciary Committee. 113th Congress, First Session. Ser. No. J-113-1. U.S. Senate, p. 661. Chuang is as corrupt as the masters he serves. Chuang cannot possibly comply with the Code of Conduct, Canon 2 which dictates that he avoid even the appearance of impropriety. Chuang’s work with Mueller, Chandler, Wilmer Hale LLP and the U.S. Department of Homeland Security totally disqualifies him.